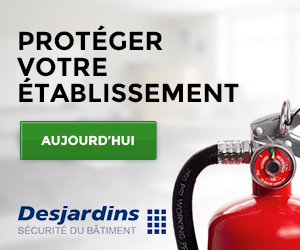 Desjardins Sécurité du Bâtiment offers a vast range of fire extinguishers to protect you against fire at any given moment. In an emergency situation, what matters most is to have safety devices and equipment in good condition within reach in order to limit the damage as much as possible. Recharging a fire extinguisher becomes necessary because the lifetime of the fire extinguisher powder varies from one device to another. Take the right safety measures against accidental fires and have your fire extinguisher inspected by a recognized professional. To make sure your fire extinguisher is up to standard, call upon the expertise of one of our technicians who will take care of cleaning, recharging, checking or replacing your device, if needed. 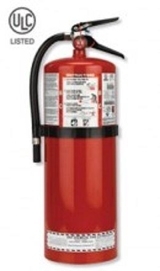 Our experts will do an excellent job and will make sure your extinguisher complies with the NFPA standard and is fully functional should an emergency occur. Contact us today to take advantage of our expertise with fire extinguishers and fire protection.